As the arena began to fill up, the band took the stage around 7:45 and delivered an absolute marathon set that stretched nearly three and a half hours and was jam packed full of the band's numerous hits. While they may have deemed themselves “the world's most dangerous band” during their glory days, later day G'N'R had a difficult time retaining their legacy as Axl and a cast of revolving characters tried to carry on through the late 90s and early millennium. Now, with Duff and Slash back in action, the band is making up for lost time as they've spent the better part of the past year and a half crossing the planet headlining major festivals and selling out some of the biggest stadiums in the world. As they crashed into MSG, the night was full of pure rock and roll excess complete with fireworks, flames, confetti, and one of the biggest stages I’ve ever seen in an arena. It was a total rock and roll circus. For such an elaborate production, the band made sure to pull out all the stops and pushed the pedal to the metal as Slash unleashed head spinning solos that seemed to somehow always top the one before it. 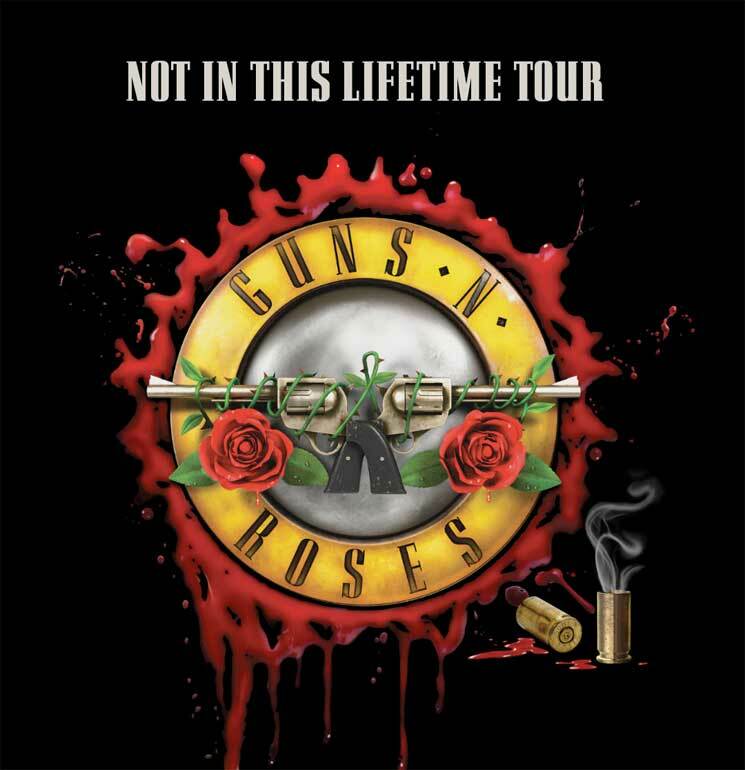 It’s actually remarkable that Axl was able to pull off touring as Guns N' Roses for as long as he did without any other original members because it was clear that this was a Slash spectacle. The man was a total monster and absolutely obliterated the night with his unparalleled skills and dazzling talent. In fact, it felt like Axl was barely on stage as he made numerous costume changes (all variations of black t-shirts and leather jackets) while Slash owned the stage with his unwavering showmanship. Of course it was their classics like “Mr Brownstone,” “Civil War,” and “Welcome to the Jungle” that lit up the crowd, but the band also supplied a heavy dose of cover songs that really made the crowd come alive. Aside from the expected “Live and Let Die” and “Knockin’ on Heaven’s Door” (which probably had the best sing-a-long moment of the night), they also paid tribute with “Layla,” “Wish You Were Here,” and various interludes of classic solos like "Voodoo Child." However, perhaps the most awe-inspiring moment of the night came as Slash and Axl transitioned the piano balladry of "Layla" into an epic rendition of "November Rain" which saw the two front and center dueling it out on piano and guitar. Then, just when it seemed like the night was reaching its pinnacle, the group paid homage to the late Chris Cornell with a stunning cover of "Black Hole Sun" which kicked off with a Westworld style piano intro and brought the crowd to their feet in epic fashion. To close out the night, the band did something totally unexpected by bringing out pop sensation P!nk to help out with "Patience" before ending the night with the all-time classic "Paradise City." It was an evening full of explicit rock and roll pushed to the extreme. At times it felt a bit excessive as Slash's relentless guitar solos began to feel like songs in and of themselves (I think the intro to "Sweet Child O' Mine" alone was nearly five minutes), but for those who've been waiting decades to see these hard rock titans together again, it was worth every minute. 04 "Welcome to the Jungle"
10 "You Could Be Mine"
17 "Sweet Child O' Mine"
19 "Used to Love Her"